A cosmic accident has shifted a modern West Virginia town back through time and space to land it and its twentieth century technology in Germany in the middle of the Thirty Years War. History must take a new course as American freedom and democracy battle against the murderous despots of seventeenth-century Europe. 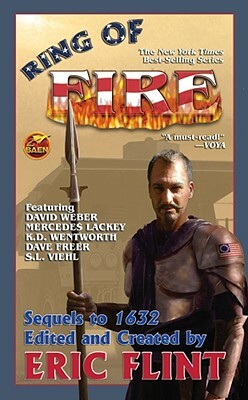 A stellar cast of top writers explore the alternate history created by Eric Flint, continuing the saga begun in the hit novels 1632 and 1633, including: David Weber, New York Times best-selling creator of Honor Harrington; best-selling fantasy star Mercedes Lackey; new space adventure author K.D. Wentworth; S.L. Viehl, author of the Stardoc series; Dave Freer, co-author of the hit humorous SF adventure novels Rats, Bats & Vats and Pyramid Scheme; and Eric Flint himself. All combine their considerable talents in a shared-universe volume that will be a "must-have" for every reader of 1632 and 1633.